Congratulations to Andrew Sutton, who won a Scotty Cameron Red X3 putter for his winning Letter of the month in the Golf Monthly February issue. Comparing Annika Sorenstam to Tiger Woods undervalues her contribution to women’s golf. Before Woods arrived men’s golf was already well established with a history of great players. The women’s game was far less well known. Who would have foreseen the day when a female golfer could be considered for participation in a men’s event? Rather than compare Annika to Tiger, I feel it would be far more representative to see her as the Arnold Palmer of her generation. Furthermore, she was able to achieve something that Tiger has yet to do and that is to carry individual success into the team format, as was the case in the Solheim Cup. Her dominance of female golf forced tour managers to reconsider the way tournaments were organised and helped bring women’s competitions to the forefront of the modern game. May she enjoy her retirement from competitive golf, as she has earned it. What do you think? 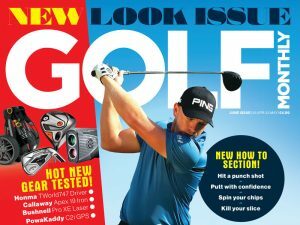 Join the debate and have your say in the Golf Monthly Forum. The writer of our Titleist Letter of the month will win a superb Scotty Cameron Red X3 putter.